According to the chart posted, my electric pressure cooker that operates at 11.6 psi would have a boiling point of approximately 200 degrees F.
Is this too low to work correctly? Decarb is a function of time and temperature. If you were using 200 degrees F you'd need to extend the time, but I have no idea how that would be calculated. If no one chimes in soon ask at the study hall. Are you sure thats working correctly? regular atmospheric pressure is 14.7 psi. maybe that number is 11.6 plus 14.7 = 26.3 psi? whats the temp at 26.3? "Instant Pot has a max working pressure of 15.23psi (105kpa). This is marked on the steam release handle, see the image on the top. One of the design objectives of Instant Pot is not to let out steam and make noise during its operation. So normal working pressure has to be below 15.23psi. Instant Pot’s working pressure is in the range of 10.15~11.6 psi. If you have small amount of food/liquid in the cooker, Instant Pot may touch 15.23psi momentarily due to the heat conduction delay." They advise converting regular 15psi recipes by increasing the cooking time by 7-15%. The garden is one of the two great metaphors for humanity. If there are still members subscribed to this thread, I have a request. There is a group of members who have been doing some work with decarb and terpene retention. I can't say that we have broken new ground. However, we do have some information charted. This is the latest version as a Google Sheets document. To the point, I want to run a pressure cooker decarb and have cannabinoid and terpene tests run on the flowers. I/we have raw flower tests on two strains. One strain has a raw flower sample that has been held refrigerated from the work in the charts and would be about three months old. The other tests are from the mother of a clone that will harvest in about two weeks. They are rather pricey and multiple tests add up fast. So, I want to get any thoughts and ideas that anyone has. I live at 6000 feet and the cooker I have is a Cuisinart 6qt electric. I am guessing the high setting would be best but does anyone want to make a guess for the time? The thread is in my signature. We could really use some fresh eyes on what we have been doing. Used the Instant Pot the other day and it worked great. We set it for 1 hour low pressure (5.8) with 1 liter of olive oil and some water to help break it down with the immersion blender. When it was done the "cooking" part, we let it slowly decompress to room temp and pressure (4 more hours). Hardly any smell whatsoever. We were able to use a baster to pull the majority of the "clean" oil from the top (you can see it in the left jar) and the remainder we put in the fridge to separate oil from water. This batch was CB Dutch Treat and today we are doing the same for White Widow. So the 2 jars, the left is obviously the clean oil and the right is the water /oil emulsion? What is done with the "water" part after seperation? Certainly it contains terpenes? Correct, left is the emulsion which you can put in fridge and separate out water later and/or reheat to evaporate all water. Also, I took this pic immediately after filling jars and that left jar separated even more just settle got the counter (and we grabbed some more oil right off the top). We use our jar, in its current state, for making cbd soap/salves (which already needs/uses water in the process, so no point in worrying about separating). Also, to clarify, the Instant Pot @ low pressure (5.8psi) remains at a temp range of 229-232F. Did you put everything directly in the instant pot or "cook" it in the canning jar? There is a group of members who have been doing some work with decarb and terpene retention. I can’t say that we have broken new ground. However, we do have some information charted. This is the latest version as a Google Sheets document. Canyon, can you contact the manufacturer for altitude adjustments? It's all done directly in the cooker Dave. Buds, oil, water, all added together and reduced to a mash. Close, seal, cook. Man.... I need an Instant Pot. I can see one in my future in about three weeks. 79.95 at Wegmens and Walmart. Oil, water, cannabis in pot. Immersion blend. Cook. Siphon oil. Jar. 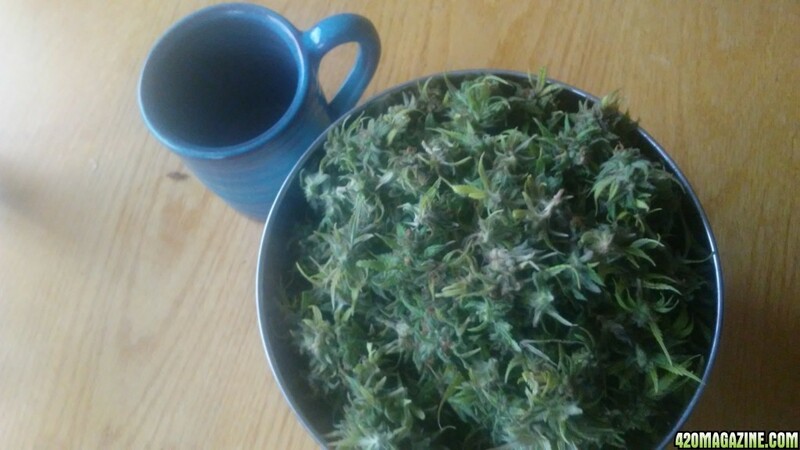 Yesterday we did Northern Light Thc honey (we have bees). Decarbed in a toaster oven (outside...first decarb ever...smoky!). Decarb cannabis into sachet in jar, covered with honey, added lecithin, lid. Into Instant Pot on yogurt setting overnight. 108F (laser thermometer) which is ideal for honey. Zero cannabis taste, or at least none I can detect. Definitely thc kick. My wife let me lick the spoons and I was buzzing! Decarb in an oven roasting bag. Brings smell to almost nothing. PS You can use the bags over and over if you don't put a hole in it. I reuse mine until it's almost embarrassing. Whoa! 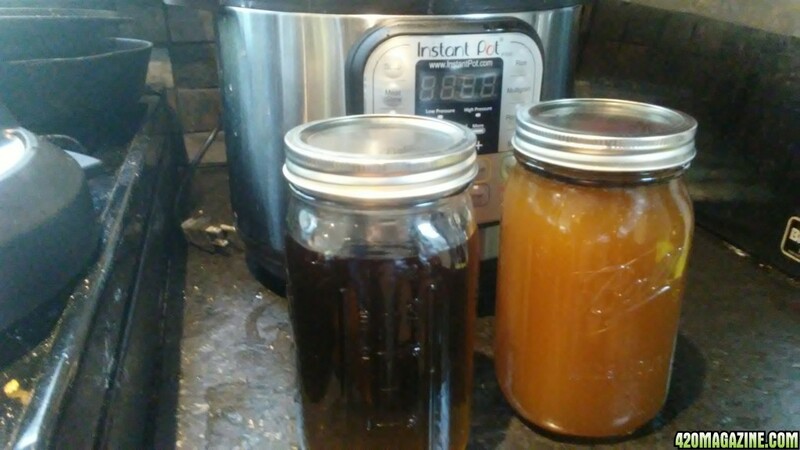 Infused honey! This I have to try. Chamomile tea with kick. I have not tried searching there sight yet. I did confirm that water boils at a little over 200F. I found two grams of leftovers that I had decarbed in a pressure cooker that I have tests on the non decarbed buds. I will probably have test run on it Tuesday. It worked well. I ended up with the "lux" model that only has 1 pressure setting. The chart says the temp is 235-243 so I am ok with that. I made some FHO from mixed trim according to your directions and it worked out great. The one change I made, was I cooked it for 110 minutes instead of 1 hour. That is the amount of time I usually decarb for, so it seemed reasonable to use that for my cook time. 10oz of infused olive oil.